Bookmark this page and sync it into your calendar, because you're about to be on top of where to go and what to do in and around Beacon, NY, and the Hudson Valley. If you have an event you'd like to submit for consideration, please fill out the Event Submission Form. If you would like to sponsor this guide, or upgrade your event promotion, please click here for details. Annual events it will be moved to the bottom of this page, and then updated later in the year when the new date is picked by the venue host. WHAT DAY IS IT? SOMETHING IS GOING ON! Lots of venues have the same event every X day, or every certain day of the week or month. We aren't sure what to call this guide, so in the meantime, it is called A Little Beacon Blog's Ongoing Events Guide , or Every X Day. Check it on a day you're looking for something to do, because there just might be line dancing or a bridge group meeting! Did you know we have a separate guide for Second Saturday that is updated every month? 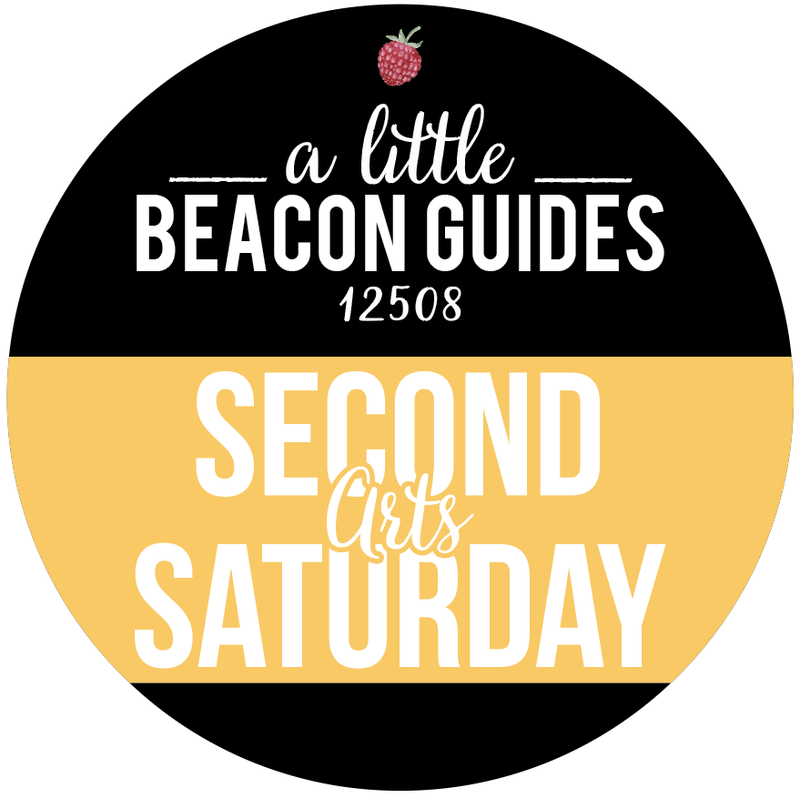 If you are looking for special events related to the art galleries in Beacon and what they're doing for Second Saturday, you can check it out here! NOT QUITE ZERO WASTE – HOME SUSTAINABILITY: STEPS TO A LEADING A HEALTHIER LIFESTYLE: Presented on EARTH DAY 2019, this program is for those considering ways to make their home and lifestyles more sustainable by adopting habits that lower refuge, power and clutter, etc. Attendees will learn about living a healthier, simpler and more peaceful lifestyle while helping the environment. Join Dr. Wasik Ashraf, of Montefiore St. Luke's Cornwall, as he leads a talk on advancements in regenerative medicine. Learn about minimally-invasive options for orthopedic conditions affecting the joints, muscle, and tendons. Specific topics covered will include: bone marrow aspirate, bone grafting, lipogems, stem cells, and percutaneous procedures for tendinitis and bursitis. This event for adults is free. This event if free and open to the public. A documentary film by Lisa Klein, The S Word takes an intimate look at suicide attempt survivors who have turned their pain into actions and changed the way we talk about suicide...and saving lives. The film shines a light on a topic that has long been stigmatized, opens the conversation, and strives traduce the silence and shame often associated with this 10th leading cause of death in the United States. Discussion following the film. Each and every one of us has the power to create change. Living the Change sets out to inspire us to do just that. There are so many exciting and important ideas and initiatives out there, so much hope and inspiration. We want to generate discussion as widely and deeply as possible about how each of us views the future and our part in it. Free Admission. The Beacon Players production of Disney's Beauty and the Beast will be performed one weekend only by beacon high schools students. The popular Beacon Barks Parade returns to Main Street. Beacon Barks! is the street festival for people who love animals, live music, great food, and having fun in the heart of Beacon. It is a day to meet the people and animals behind animal shelters, rescue and welfare organizations. It’s free, fun, family-friendly! A variety of service providers (such as groomers, vets and many others) offer information and advice on caring for your best fur friend. Find the perfect handmade Mother’s Day gift and meet the makers. Free Admission! We usher in the Spring with our four "Concertante" programs. Tickets are still available to all concerts, and it's not too late to subscribe to all four for additional savings! Q&A with filmmaker Jon Bowermaster with Safe Energy Rights Group co-founder Courtney M. Williams, PhD, Scenic Hudson President Ned Sullivan, and Riverkeeper’s Water Quality Program Director Dan Shapley. Bingo! Beer! Raffles! Food! Music! This grown-ups only fundraiser is organized by the JV Forrestal PTSO to benefit playground improvements. Roald Dahl's Willy Wonka KIDS follows enigmatic candy manufacturer Willy Wonka as he stages a contest by hiding golden tickets in five of his scrumptious candy bars. Whomever comes up with these tickets will win a free tour of the Wonka factory, as well as a lifetime supply of candy. Four of the five winning children are insufferable brats, but the fifth is a likeable young lad named Charlie Bucket, who takes the tour in the company of his equally amiable grandfather. The children must learn to follow Mr. Wonka's rules in the factory – or suffer the consequences. Buy your tickets here. Shop local vendors. Enjoy fun family activities! Enjoy Cupcakes from all over the Hudson Valley & more! Slide down the inflatable slide, or jump in the Jumpy castles provided by Party Time Rentals! FREE ADMISSION! Featuring David & Jacob Bernz, Betty & The Baby Boomers, The B2s, Carolyn Doctorow, Lydia Adams Davis w/ Annalyse & Ryan, Pat Lamanna and much more! $20 at the door, $15 advanced at peteseeger.bpt.me. Elysium Furnace Works is thrilled to present a one-of-a-kind gathering of four master improvisers for a death-defying adventure in creative music making. In a very rare U.S. appearance, the legendary British saxophonist Evan Parker will be joined by the premier modern guitarist Joe Morris, the celebrated Downtown multi-instrumentalist Ned Rothenberg and cellist/polymath Alex Waterman. Hudson River Playback Theatre, a New Paltz-based nonprofit ensemble founded in 1990, listens to real-life stories from audience members and creates dynamic theatre on the spot, along with improvisational music. The ensemble has performed by invitation in New York City, Boston, Washington DC, Montreal, London, and Frankfurt. This show will be their third appearance at DENIZEN Theatre, with standing-room only audiences at previous performances. 25 vendors and 30 tables with tens of thousands of LP's, 45's, CD's, DVD's, Concert Posters, Stereo Equipment (turntables, receivers & speakers), PLUS new this year The Stately DJ Wayne Manor and Nina will be spinning the best of 60's soul, mod, rock 'n' roll, garage, punk and power pop! Part of the BSC Winter Lecture Series, the Fishkill Supply Depot Site was entered into the National Register of Historic Places on January 21, 1974. The site was judged significant for its role in the Revolutionary War, for the historic architecture of the Van Wyck Homestead, and for its archeological qualities. Celebrating 40 years of Art and Culture at the Howland Cultural Center. Honoring Florence Northcutt of The Howland Public Library. There will be cocktails, buffet, Entertainment, art, auctions, presentations and more. Major sponsors include Howland Chamber Music Circle, Healy Brothers, and West End Lofts. Priority reservation visit howland40.brownpapertickets.com or email 40th@howlandculturalcenter.org. Location: Kickoff party Friday May 17th! City-wide exploration of artists in their studios. Studios can be in an artist's home or in a different location. Pick up a printed map/brochure of where to find each artist in Oak Vino Wine Bar and other storefronts. A 45 minute musical adventure for all ages. $10 adv, $15 door. Tickets available at HVTI.org or at the door. Featuring performers from The Moth, Risk!, Story Collider, Comedy Central Presents, and musical guest Charming Disaster! Hosted by Drew Prochaska. $15 adv/$20 door. Tickets available at artichoke.brownpapertickets.com. If you are into Rustic or Shabby Chic designs, this is the event for you! This weekend promises great shopping, seminars (including a presentation with Barb from Barb's Butchery) and demonstrations, delicious food, and a chance to meet the editors of Country Living! 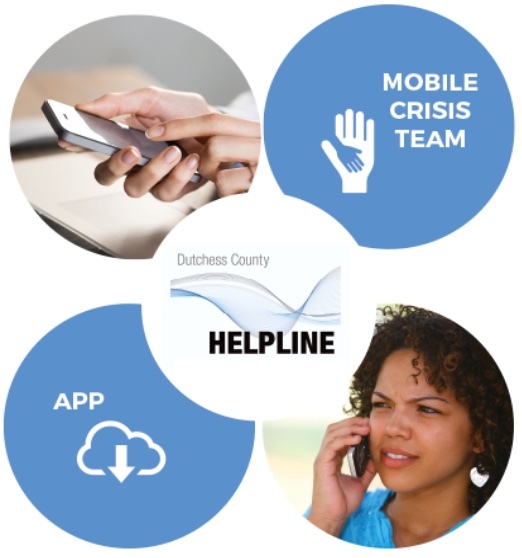 When it comes to Mental Health, it is our belief that the Hudson Valley is “services rich yet information poor.” Despite the valiant efforts of many organizations there is a lack of awareness and knowledge which result in many in our community being left to suffer in silence. It is our vision to bridge the gap between the community and available services, highlight the importance of knowing where to go for help, and empower individuals to take action in order to help themselves or others. Mental Health affects everyone and together, we can all do better and be better. The Center is proud to announce our 2019 Pride March and Festival! March with us as we celebrate our strength and fight for our rights! The Pride Festival features music, food trucks, and local vendors. Visit our website to register to march, vend, or volunteer at the festival! Come celebrate National Get Outdoors Day at free DEC events around the state. Try a new activity or introduce your family to old favorites like hiking, archery, paddling, and fishing! Bring the whole family and spend the day having an outdoor adventure! Treasury Cider and Essie's Restaurant is partnering with Fishkill Farms to bring you a delicious four-course meal paired with Treasury's new releases of hard cider in celebration of Hudson Valley Cider Week! Space is limited. Tickets must be purchased in advance and will become available through Essie's soon. Celebrate all things strawberry at Fishkill Farm's annual Strawberry Jammin' Festival–a berry good time for all ages! Enjoy live music, kids crafts, strawberry themed foods such as strawberry shortcake, a special hard cider strawberry bellini and of course, pick-your-own organic strawberries. The country’s oldest and largest music and environmental festival, this year’s event will celebrate the 100th birthday of its founder Pete Seeger, as well as the 50th anniversary of the sloop Clearwater, the iconic ship Seeger built to advocate cleaning up the Hudson River. The Clearwater has become a symbol of environmental advocacy and of Seeger’s efforts to inspire, educate, and activate millions of people around environmental issues. Previously announced artists include Mavis Staples, Ani DiFranco, The Wailers, Railroad Earth, The Lone Bellow, The Mammals, Immortal Technique, and many more. New additions to the line-up include Del McCoury Band, Chapin McCombs Chapin, Alan McClintock, Arif Choudhury, Betty & the Baby Boomers, Chief Perry, Children at the Well, Dennis Yerry, Dirty Stay Out Skifflers, Edukated Fleas, Ernie Sites, Evan Pritchard, Evy Mayer, Geoff Kaufman, Greenheart, Jacob & David Bernz, Jamie Brickhouse, Jan Christensen, Jonathan Kruk, Late Show's Gospel Choir, Laurie & Ira McIntosh, Leeny Del Seamonds, Lonnie Harrington, Luis Ramos, Magpie, Marita Solberg, Mel & Vinnie, Mercedes Garcia, Niemo, Norah Dooley, Peter Siegel, Ramapo Spirit of the Mountain Drummers, Reggie Harris, Reggie Seasar, Rik Palieri, Sheila Arnold, Spirit of Thunderheart, The Rix, The Storycrafters, Walkabout Clearwater Chorus, and William Ruiz. Tickets are now available through Clearwaterfestival.org. The Clearwater Festival, which takes place at Croton Point Park, Croton-on-Hudson, NY is known for its family friendly entertainment and educational activities, and includes free entry for kids under 11 years old. A youth ticket from 12-17-year-olds offers a discount to older kids, plus there is a senior, disabled, military and veteran discount, which makes bringing the whole family affordable. A current membership with Clearwater offers festival goers an additional 20% off ticket prices. Clearwater members also enjoy a range of perks throughout the year, including discounted sailing tickets (not offered on Revival weekend sails), discounts on Clearwater merchandise, an opportunity to volunteer on the sloop and at Revival, as well as vote on policies, board leadership and more. Revival is the country’s oldest and largest music and environmental festival, bringing together major musical acts and Clearwater’s own brand of green activism for a unique weekend every June. Clearwater Festival 2019 takes place on the banks of the Hudson River at beautiful Croton Point Park, Croton-On-Hudson, NY. Beer, Bourbon, & Bacon returns to Barton Orchards in Poughquag! Enjoy Beer and Bourbon sampling, and try everything BACON! Playing your favorite Classic Rock Tunes, not just Led Zepplein. Wine isn’t the only thing the Hudson Valley is known for! The 5th annual Hudson River Craft Beer Festival returns to Beacon this September for the biggest & best craft beer festival yet. Follow the river to Riverfront Park to sample over 180 craft beers from over 90 of America’s best craft breweries while enjoying live music, local vendors and delicious food. There will be VIP and general admission sampling sessions available so you can sip the day away while enjoying the scenic Hudson River views! These events have passed. Look for them next year! We move them to the bottom of this Guide to get ready for next year! 'Tis the season to get tapping! Crown Maple is celebrating maple sugaring season with two Maple Weekends, March 17-18 & 24-25. Sample twelve different syrups, taste a maple cocktail from Black Dirt Distillery, or try Angry Orchard's Maple Wooden Sleeper cider. Tours of the sugarhouse are self-guided but maple experts (sugarrmakers) will be available to talk about maple production from tree to barrel. And don't miss the café's specials! We've got our eye on the Maple Buttercream Whoopie pies. Both events are free and open to the public, so don't miss out! Enjoy a day on the farm with the whole family visiting with the Easter bunny, hunting for eggs amongst the apple trees, planting sunflowers, and taking hayrides through the orchard. We’ll be serving hot lunch and snack items, and as always, we’ll have our delicious cinnamon sugar donuts made fresh. Our Treasury Cider Bar will be open and offering free tastings of Fishkill Farms’ own hard cider (21+), as well as serving glasses and full tastings in the comfort of our warm barn. Sold out online for the last 3 years so reserve your spot now! Randolph School will host its 10th annual Maple Fest, a traditional maple-sugaring event for the whole community. Hudson Valley residents are invited to tour the maple-sugaring process of tapping, collecting and boiling sap to make maple syrup. Join musicians Jordan Shapiro, Stephen Clair, and Jacob Bernz as we celebrate the joys of maple sugaring. Additional activities include story-telling, face painting, crafts, and hikes on Randolph’s lovely, forested property. A pancake lunch will be available from 11am - 1pm for $10 p/adult, $5 p/child or $25p/family. Arrive after 1pm and the event is free! Randolph's famous chili and snacks will be available for sale throughout the afternoon. In 2018 over 500 people attended the event. We are proud to announce this is a 'Zero Waste' event! Zero to Go will be on site to recycle and compost! Attendees will also have the opportunity to sign up for residential Zero To Go services! It is the inaugural “Hudson Valley Tattoo Fest” presented by Hudson Valley Tattoo Company. Featuring over 200 tattoo artists from around the globe! Centrally located in the heart of the beautiful Hudson Valley. There will also be live music, vendors, great food & drinks, contest, prizes, and ice skating! Hop on Over to the Park! It is our annual Easter celebration in Memorial Park. Join us for our Easter Egg Hunt and Spring Fling at Memorial Park. Fun for kids of all ages. Activities include egg hunt (ages 1 - 12 years old), a visit from the Easter Bunny, Bike and Basket Raffles, Petting Zoo, the annual presentation of the Mayor’s Egg, and more! Join the City of Beacon and Green Beacon Coalition on Saturday, April 22nd for a city-wide cleanup and BBQ to celebrate Earth Day. Cleanup locations listed below and the BBQ is at the Recreation Center from 2-4pm. Show your love for Mother Earth by helping to clean the shoreline and remove invasive plants at one of our most popular parks. Bring the family - there will be projects for all ages! 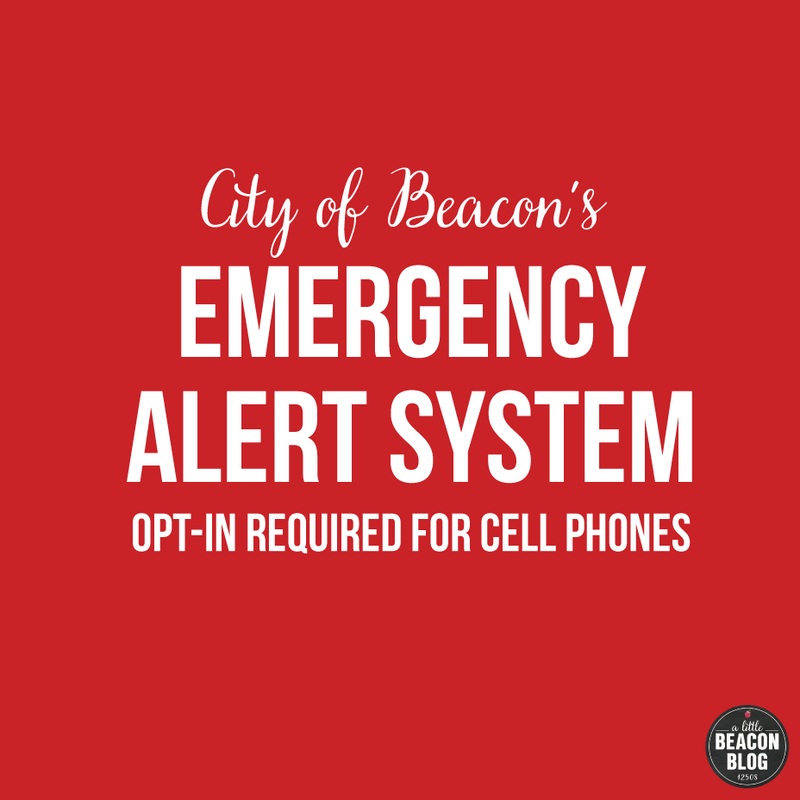 You can volunteer at different locations throughout Beacon. Locations include High School Woods, South Ave Park, Teller Woods, Rocky Glen Park, Mount Beacon, Long Dock Park, Main Street. You've seen the Ree-Play flyers around town. You've marked the date for the Ree-Play sale on your calendar - this Friday, Saturday and Sunday! Now it’s time to shop and score great deals on kids clothes, gear and toys! The Ree-Play Children's Tag Sale is a fundraising effort from Wee Play Community Project that impacts your life in Beacon. Not only will you score a major deal on some kids gear that can change your children's lives forever (ok, maybe for 5 minutes), but your purchase contributes to equipment for three parks in Beacon (Tot Park at Memorial Park, Green Street Park, and River Front Park) in addition to kids programming at the Howland Library, and other initiatives around the city. The third annual Newburgh Urban Farming Fair will be held on at 80 Broadway at the corner of Grand Street in the City of Newburgh. The free outdoor event celebrates urban farming with exhibits, demonstrations, children’s activities, vendors, food and raffles with the goal to increase city residents’ access to healthy food while revitalizing the community’s economic and social vitality. The Fair includes attractions for all ages including crafts and seed planting projects by Hudson Valley Seed, food and farm related story time, expert advice on gardening by Orange County Cornell Cooperative Extension Master Gardeners, chicken demonstrations, and practical tips on “how-to” build and install container gardens and compost bins in your yard. Attendees will also be able to bring several samples of soil from their yards and soilSHOP staff will be available to screen the soil for toxins and provide same-day results. Attendees this year will be able to sample Mac & Cheese creations from some of the finest restaurants and Chefs in the Hudson Valley. Entry with all tickets will include a free self guided tour of the winery and lots of Mac and Cheese samples as your taste buds will decide who will be crowned Kings of the Mac and Cheese! This is a family event kids 10 and under are FREE and we are expecting this event to be sold out before it begins. The kids tag sale that directly benefits Beacon parks and other programming, put on by Wee Play Community Project. Friday, April 21st to Sunday, April 23rd from 9am-1pm daily at the University Settlement Camp Theater (Beacon Pool entrance/9D, Beacon). Credit cards are accepted. Parking is at the pool, along the driveway, and up in a field by the casino building. Clothing deals include a $15 fill-a-bag for the clothing tables. As is every year, a delicious bake sale will be held daily, with fresh baked goods from local parents (have you heard of the #BeaconDessertMafia? OMG). Half-Price Day is Sunday, with a special treat of Balloon Animals form 11am-1pm on Sunday, too! See A Little Beacon Blog's article about it here. The sweep is free & consider purchasing a tee shirt in support of Riverkeeper. Tee shirts must be ordered before April 22. All volunteers must register in advance through this website. In addition to various craft demonstrations and local vendors, you can watch our sheep get their annual shearing and purchase plants in our greenhouse. Get ready for the spring season with vegetables and herbs that were grown in Stony Kill's greenhouse. Live music – food – children’s activities – information – demonstrations – gift shop – tours of the farm animals in the barn – tours of the Verplanck Tenant Farmhouse – and much more! Join us this Sunday for Opening Day of the 2018 Beacon Outdoor Farmers' Market! We're heading back to our new location on Veterans Place, which was a huge success for us last year! The street will be full from end to end with your favorite returning vendors and some exciting new ones! Seeing the orchard in beautiful bloom is something you don't want to miss! Celebrate the spring season and take in the stunning site of 80+ acres of fruit trees blossoming. There will be wagon rides, food & drinks, and more! There's no better time to start planning your garden - or raised bed, or windowsill box, or countertop pot - than the first week of spring. Mark your calendars & help your garden get off to its strongest start with our vegetable and herb seedlings, available for pre-order. Enjoy live music from 40+ bands FREE! The Newburgh Illuminated Festival aims to highlight all the things that make Newburgh the charming, culturally diverse city that it is. Sample a veritable world of food from local purveyors, and enjoy live music all day on multiple stages. There is something for all ages! Newburgh and Hudson Valley vendors will be on hand selling locally-sourced and handmade goods. Discover pop-up art shows, child and family-friendly events, and a trolley tour of historical Newburgh, and a Colorfest! Don’t have a yard? Not enough stuff to set up a whole sale? Consider being part of the Sale at the Center this year. We will have space and an 8 foot table waiting for you here at the Recreation Center. Bring a chair, an umbrella and your wares for sale and we will have a Flea Market here at 23 West Center Street. All this for $15 and your sale will be part of our list. Come enjoy the best shortcake you have ever imagined --- strawberries made with home-made biscuits topped with real whipped cream --- while surrounded on three sides by the glorious Hudson River. There will be many treats such as strawberry smoothies, freshly made chocolate covered strawberries and other great foods. Many vendors will be on hand selling food and crafts. Clearwater’s Great Hudson River Revival (Clearwater Festival), the country’s oldest and largest music and environmental festival, brings together major musical acts and Clearwater’s own brand of green activism for a unique weekend every June. Clearwater Festival 2018, which takes place on June 16 and 17, on the banks of the Hudson River at beautiful Croton Point Park, Croton-On-Hudson, NY announces its initial line-up. A number of Clearwater’s favorite artists will be returning this year including: The Mavericks, Ani DiFranco, Tom Paxton & The DonJuans, Tom Chapin, Joanne Shenandoah, David Amram, Josh White Jr., The Mammals (featuring Mike + Ruthy), Jay Ungar and Molly Mason, Dan Zanes, The Nields, The Kennedys and Dance Troupe The Vanaver Caravan. Two-hundred of America’s best independent artists and craftspeople are coming together in the heart of the beautiful Hudson Valley for the sixth annual Rhinebeck Crafts Festival. 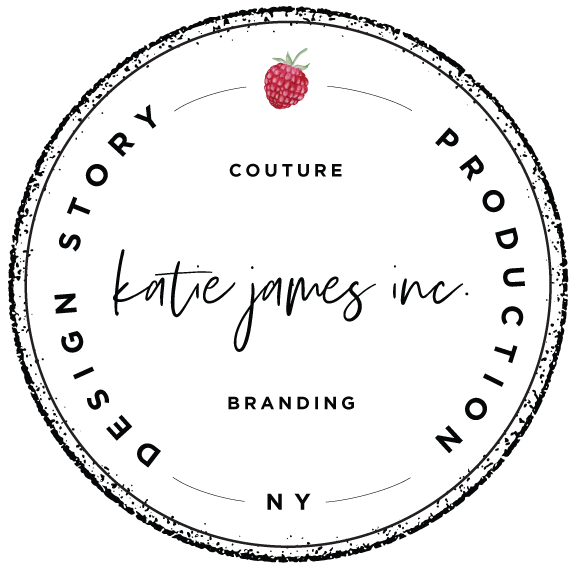 This diverse experience is a celebration of all things handmade which includes: unique contemporary craft and art, gourmet specialty foods, tastings from Hudson Valley distilleries and wineries, interactive craft demonstrations and exciting family activities. Fine artists and craftspeople will be traveling from over 20 states to exhibit and sell their one-of-a-kind creations. These exceptional indie artists infuse each of their pieces with a distinctive creative vision with one-of-a-kind and limited edition: jewelry; apparel and accessories; furniture and home décor pieces; functional and sculptural works in ceramics, glass, metal, wood and mixed media; fine art painting, printmaking, drawing and photography. Bring the whole family! There will be live music, food vendors, kids activities and of course, fireworks! RAMP: Stop by the RAMP tent to learn more about the new skate park coming to Memorial Park! Read the story behind this year's fireworks. Read our article for more details on this event. Join us for our annual “Cannonball Run” through the University Settlement property on Saturday, July 7th. Choose a 5-kilometer or mile-long course; both end with a jump into the Beacon Pool. This is a trail run! Be prepared for some hills! A donation of $20 for the 5K and $5 for the mile is suggested to benefit the Beacon Rec After School Programs. Cash and exact change are appreciated. The inaugural O+ Poughkeepsie, a festival of art, music and wellness, takes place Aug. 5 on the block of Main Street between Academy and Market streets. Participating visual artists and musicians will receive complimentary health and wellness care from art-loving volunteer providers. A wonderful opportunity for experienced swimmers to swim about one mile (72 lengths of a standard 25 yard pool) across the Hudson River and raise funds to benefit the non-profit volunteer organization River Pool at Beacon. Registration is now closed and walk-in registrations are not accepted. Cheerleaders are encouraged! Rain/shine Fresh picked, ready‐ to‐eat local‐grown sweet corn on the cob, cold drinks, and other summer treats. Fun for all ages, two solar music stages- Main Stage: April Mae and the June Bugs, Caroline Doctorow, Cosby Gibson, Hank Woji, Spook Handy, The Offshoots, and The Roadhouse Roosters. Children's Stage: Bindlestick Bill, Lydia Adams Davis, Miss Vicki, Solar Sound, The Hudson Valley Troubadors, and The Quahog Quire. Environmental displays and activities for all ages. The sloop Woody Guthrie will give free public sails (weather permitting). Lots of craft and food vendors. First time Corn Bread Contest! The corn bread must be made from scratch with recipe. 1st place is $25. Cornbread must be entered at the Contest Tent before 2pm. Winner announce at 3pm. Join us for a celebration of Windows on Main Street - the annual event that turns main street in a mile long gallery! It's that time again! As you know, back to school is one of the most stressful times of the year for both students and parents. In effort to support Beacon families, I Am Beacon partners with Key Food to host the 4th Annual Back to School Block Party- and we want you to be a part of it! There will be fun, food, music, and giveaways. Bring the whole family! What ways can your School/PTA/PTO/Organization be involved? Donate supplies (i.e. pens/pencils etc) or materials (i.e. literature, tips & tricks) to be included in the Back to School "Starter Kit" back packs that will be handed out to the first 100 students. Donate raffle items in support of "Class in a Bag" which provides new back packs and a complete set of schoolsupplies to local students in need. Spread the word: Tell your network about the event to help us reach the most students possible. Rain or Shine! Over 60+ vendors, artists, craft persons, new gourmet food items and more. Days: Check back in 2019! Film, food, and fun pack the lineup for the fifth annual Beacon Independent Film Festival at The Theatre at University Settlement Camp Park. Come see works by Hudson Valley filmmakers and artists, eat food from local eateries, and participate in thought-provoking conversations with industry experts. It's a weekend you won't want to miss! Day: Check back in 2018! Students from high schools in and around Dutchess and Westchester Counties are invited to attend a FREE day of performance and technical workshops, including free breakfast and lunch, sponsored by Beacon High School, Spackenkill High School, Arts Mid-Hudson , BeaconArts and the Beacon Performing Arts Center. The day is designed to provide educational theatrical guidance in various fields while students can interact with each other from different schools and talk about one of the things they love the most: THEATER! There is no charge to attend Theater Day, but students need to register early, once we reach our cut off of 250 students we will close registration. We will likely hit our cutoff quickly, so don’t wait to sign up! Students can register by sending an email to beacononstage@gmail.com , stating their name, grade and school. A confirmation number will be sent by return email and subsequent information as it develops. Each of these workshops will be detailed with full explanations and breakdowns in a brochure that will be sent to all of you after you register. A community dinner celebrating school gardens and benefitting Hudson Valley Seed. Dinner, drinks, dessert, and silent auction with fantastic offerings at Hudson Valley Brewery. Featuring garden-to-table food prepared by local chefs and new brews from Hudson Valley Brewery and Angry Orchard. Featuring Tiny Windows Exhibit, live drawing/auction by Donna Mikkelsen, DJ, and free food. Windows on Main Street shirts and totes will also be available for purchase! Windows on Main Street (WOMS) is a vibrant public art opportunity that provides a citywide platform for artists, some of whom have otherwise little exposure in Beacon, and may be more widely known in other cities or internationally.Windows on Main is a project of BeaconArts. Enjoy local food vendors, live music, farm & food activities, and Common Ground Farm's dedication to the Veggie Van, a new, more efficient vehicle that will run on vegetable oil, and will install a solar-powered freezer, cooler, hot plates, and cookers; this is in thanks to a $86,000 Sun Club grant. The grant also supports a solar food dryer to make and preserve the harvest, as well as cooking demonstrations. The Hudson Valley Wine & Food Fest celebrates the bounty of wine, food and fun in the Hudson Valley at the Dutchess County Fairgrounds. Enjoy wines from Hudson Valley wineries, cideries, distilleries, craft beers, food trucks and gourmet foods. For more information and to buy tickets, visit hudsonvalleywinefest.com. The Fishkill Business Association is proud to announce its 25th year celebrating the community through the Fine Arts and Crafts Fair, and its third year taking over the village of Fishkill’s Main Street with its vendors. This fair is a perfect opportunity to meet and support local aspiring crafters, cooks and artists alike as they showcase their talent in an event made for uplifting the community’s individuals. Join the Putnam Highlands Audubon Society for our free September “Third Saturdays” Birding Trip. Explore the rich and diverse bird life of this scenic park, a strategic migrant trap along the Hudson River Flyway. Target birds include neotropical migrants en route from their boreal breeding grounds. Universally accessible walking path. Meet in the parking area at the end of Long Dock Rd in Beacon. The walk will be led by Perry Pitt, Kyle Bardwell, and Brian Rubino. Birders of all experience levels are welcome to join. Walks are free and supported by donations to Putnam Highlands Audubon Society. Put on your stretchy pants and check out the 4th Annual Sausage Fest at Barb’s Butchery on Sunday, September 16th in Beacon. We’re talking over 650 pounds of sausage in more than 40 mouthwatering recipes, from old favorites like sweet Italian and Barb’s own pear kale blend, to the new and super satisfying Argentinian chorizo. They will have FREE in-shop tastings from 10 am to 7 pm (or until they run out), so you can try, love and buy them all! Free admission and parking. There will be farm animals, chili cook off, hay rides, apple pie contest, local crafters and more. Delve into an array of garlic and garlic-flavored foods, including garlic ice cream. Live entertainment, cooking demonstrations, garlic growing demos and more. Admission: $10; kids 12 and under: free. Parade Time: 1pm the Parade starts. This highly anticipated parade celebrates Beacon and its community. The theme this year is "Celebrating Unity". Parade route is from River to Mountain: from City Hall (the end of Main Street on 9D), to Tioranda Avenue (Howland Cultural Center). The parade lineup is at 12:00pm along 9D and the parade starts at 1:00pm. The awards ceremony will follow after the parade around 1:45. The event runs until 4:00pm with music and food from different organizations. 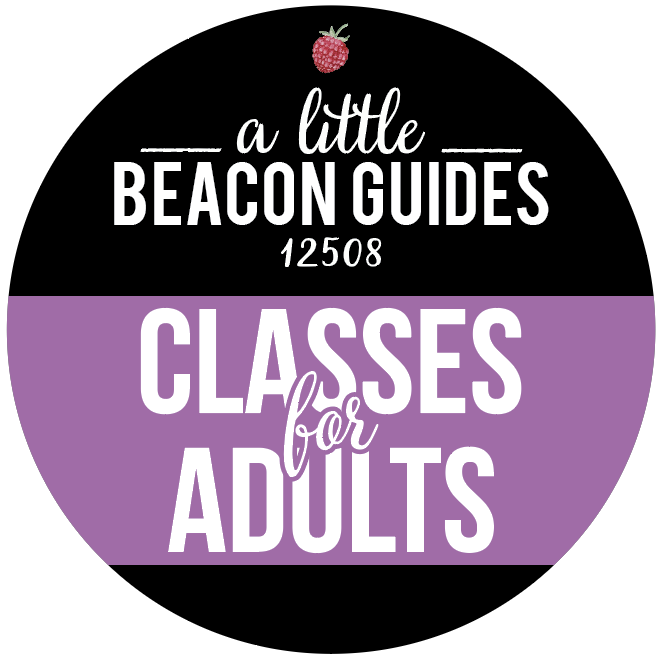 Walking the street is a great way to see which activities and groups Beacon has to offer. 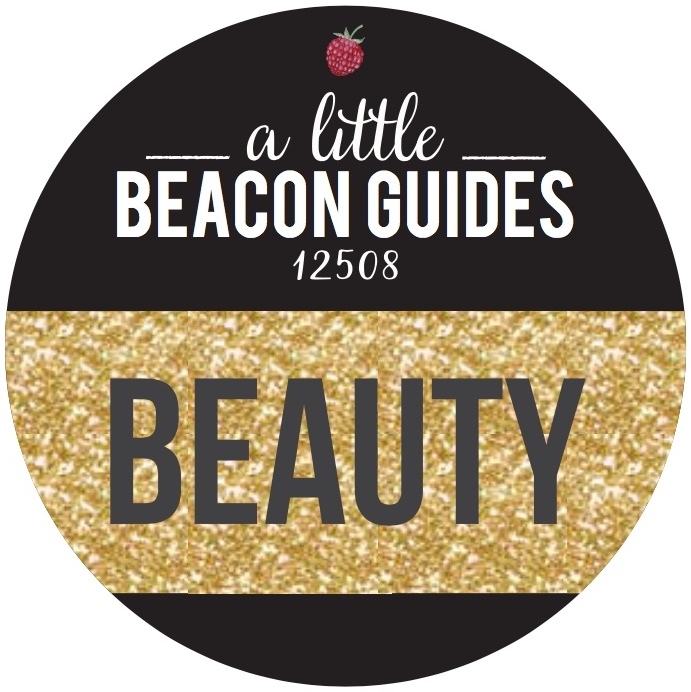 Look for A Little Beacon Blog's booth at this year's Spirit of Beacon Day and say "Hello!" We got stickers and totes! Congratulations Sheryl of Notions-n-Potions on her feature in the Poughkeepsie Journal's feature on Adults Who Love Halloween. Mike Burdge of Story Screen was also featured. Music, Food, Craft Beer and Prizes; Proceeds to Help Care and Find Loving Homes for the Hudson’s Abandoned and Special Needs Felines. You’ll have a chance to enjoy live bands, craft beer, German-style food and a raffle for prizes. In addition to offering a great time, proceeds will benefit the felines of this unique no-kill, free range cat sanctuary. Hudson Valley Brewery will be hosting the event 6:00-10:00 pm. The inaugural Catskills Wine and Food Festival (CWFF) is a two-day food and music experience. A two-day jam-packed celebrity-studded line-up spotlighting acclaimed chefs nestled in the beautiful mountains of upstate New York. The fest is a two-day jam-packed celebrity-studded line-up spotlighting acclaimed chefs and musicians including Josh Capon, Marcus Samuelsson, Gail Simmons, The Revivalists, Lord Huron and dozens more! Join us at Barton Orchards for a fun filled 3-day weekend with plenty of food, music, attractions, PYO and much more! Plenty to see and do for the entire family! Great free family event where you can walk down Main Street gazing at classic cars and looking under the hood. Free Visitor parking is available in the DMV parking log off Main Street, the City Hall parking lot, Memorial Park, and a few other free municipal parking lots around Beacon. Please see A Little Beacon Blog's Guide to Free Parking to get addresses of parking lots and pictures, which is sponsored by Antalek and Moore's car and RV insurance options. Shuttle service via the Philipstown trolley available 11am to 6pm. To participate, email coken@optonline.net. Get the scoop, pictures and a video for Beacon's Car Show 2015! Join Grace Smith House, Inc. every October in Poughkeepsie, NY for our annual Grace Pumpkin Parade! We celebrate the spookiest of seasons, enjoy local hot cider, and raise funds to support Grace Smith House in empowering survivors of domestic violence and their families to live free from fear. October is also Bullying Awareness Month, and we encourage costumed creepers of all ages to dress up in non-violent costumes, be inspired by each others creativity, and be safe during Trick or Treat. Together, we can break the cycle of domestic violence in our community! Show off your pumpkin-carving artistry and see Long Dock Park ablaze with jack-o’-lanterns—including yours. Please join Scenic Hudson at their River Center to help carve the pumpkins on Monday through Thursday afternoons. Pumpkins are supplied by Scenic Hudson and must be carved on site. Friday evening, the pumpkins will be lit and displayed throughout Long Dock Park. Please dress for the weather. Flashlights are highly recommended. The event is free! Apple picking, wagon rides, live music, fresh cider donuts, Hard Cider Garden are just a few of the things you will experience when you visit Fishkill Farms this Fall. Read more about their Fall Harvest events here. Locations: Costumed kids start lining up at Polhill Park (South Avenue/9D and Main Street) for a parade all the way down Main Street. This year it has been extended to go to Verplanck Avenue (which is past The Roundhouse, near the old train tracks along the Fishkill Creek). The first step is the parade. Smile and Wave! A firetruck will be bringing up the rear of the parade while police escorts lead the parade. The second step will be trick or treating from storefronts on Main Street on your way back up from the end of Main Street on the sidewalk. After everyone completes Phase 1 of the parade (the marching part), the street will be unblocked, and you and the kids will trick or treat on the sidewalk on the return trip back up Main Street. This gives people time to visit the storefronts, see what’s inside, and have an overall more casual experience. The Valley Table magazine officially kicks off the beginning of fall 2018 Hudson Valley Restaurant Week (HVRW), revealing the nearly 200 participating restaurants. Running from October 29-November 11, restaurants will feature their best dishes by way of three-course, prix-fixe lunch ($22.95) and dinner ($32.95) menus. The complete list of participating restaurants is available here: valleytable.com/hvrw. 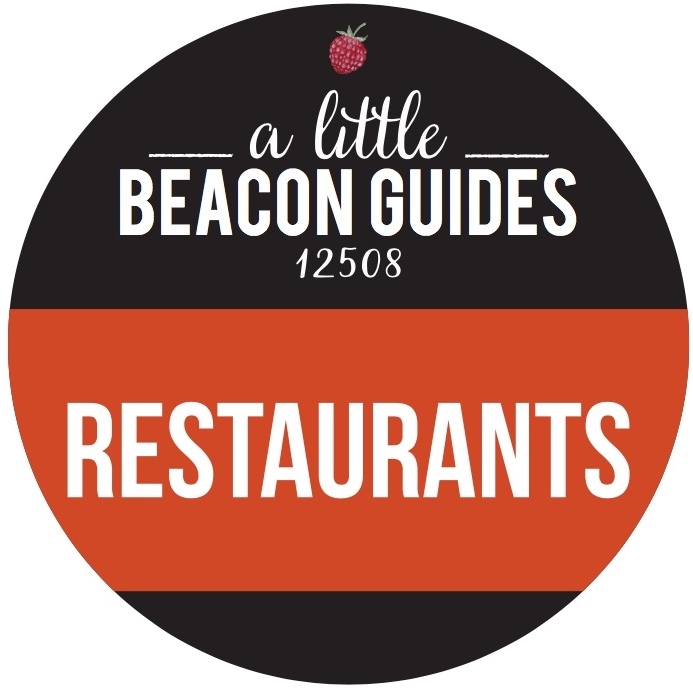 Reservations are recommended at all Hudson Valley Restaurant Week restaurants. Each year thousands of people attend this event, voted by DUTCHESS COUNTY TOURISM as the “Best Event” of the holiday season. A day-long, colorful celebration that features children’s workshops, dance, theatre and music all over the village of Rhinebeck. This year be sure to visit the LIVE OWLS and the giant COO COO CLOCK. Don’t miss the Dancing Bear, the Pocket Lady, and Mother Holly. The spectacular Children’s Starlight Parade at 6:00 pm, featuring two-story tall, animated puppets carried by hundreds of volunteers, closes the day at twilight. A non-denominational event, Sinterklaas joins residents and visitors alike, people of all ages and backgrounds, in a memorable celebration of children, art, and the light of the winter season. Vanderbilt Mansion is lavishly decorated for the holidays this year. Holiday Open House is Sunday, December 2 from 9am-7pm. Free self-guided tours. Refreshments by the Roosevelt-Vanderbilt Historical Association. Live music all day and evening, visits from the park mascot and more. Be sure to have your family photo taken in front of one of our trees. Kids of all ages and pets take photos with Santa up on his tractor. Join us for breakfast with Santa. The man himself will be in the building to spread holiday cheer and take some pictures. Seatings at 10AM and 12PM. Price is $10 per child, $15 per adult and includes a breakfast buffet and a make your own ornament craft for the kids. By reservation only so give us a ring and book your spot today. All are welcome to participate in this community gathering sponsored by the City of Beacon Recreation Department and BeaconArts. Bring your own mug for hot cider or hot chocolate! The program for the celebration begins at 4:00 with a festive "Kick Off" with dancers from Yanarella Dance Studio. At 4:30 pm the Beacon Hebrew Alliance will light the 7th wheel/candle on the Beacon Hebrew Alliance + BeaconArts Bicycle Menorah, honoring the city's clergy from all faiths. The program continues with music provided by Gina Samardge of Compass Arts and Santa will arrive at right around 5:00 led in by the Beacon Music Factory's one and only Women's Drum Core. Once Santa arrives the countdown to the tree lighting begins. Santa will be staying to greet families until 6:00pm. Parking is available in the City Hall parking lot directly across the street from the event. 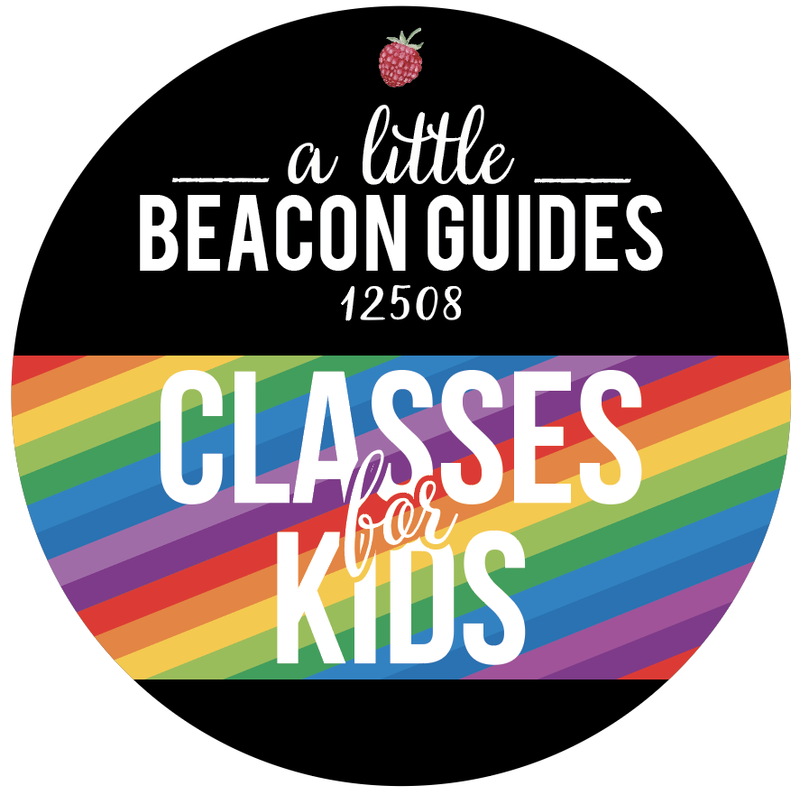 Take the new Beacon Free Loop to the event and all of the Second Saturday events; on Saturdays there is free parking at Beacon's Metro North Station and the Dutchess County building located at 223 Main Street. For more information on the Beacon Free Loop, visit beaconarts.org/beaconfreeloop. The story of Beacon is the story of a town coming through hard times with hope and dedication. In order to celebrate those who light up our community, Beacon Hebrew Alliance and BeaconArts are teaming up to celebrate Illumin8 at the one-of-a-kind Beacon Bicycle Menorah! Hannukah tells us that we can hope against all reason and sometimes, we will prevail. Sometimes, the mighty will fall before the weak, and sometimes, just a little bit of fuel will get us through the darkest night – or even eight of them, if need be. Grateful thanks to sculptor Ed Benavente, the artist behind the Bicycle Menorah. In 2014, Rabbi Brent Spodek presented a maquette of the menorah at the White House’s Hannukah celebration. Come out and ring in the New Year with the Dogwood crew! There will be a complimentary champagne toast and disco ball drop. Live music by the Black Coffee Blues Band! This lottery signup is annual. Deadline to sign up is April 22nd. We covered it here on the blog. Spring Green Teen applications are out now! You can get them from the Beacon High School guidance office, our office, or msg or email hgb4@cornell.edu. All applications are due back by March 3rd. Spring is super fun...you should go for it!